ITB 2017 Save the Date! We are happy to announce that our 9th annual Inside the Bottle event will be held June 15th on the beautiful grounds of the Lucas Estate in Carmel. More info (including when tickets will be on sale!) coming soon. Please see the flyer at the link below and contact Emmy Lutes with any questions! 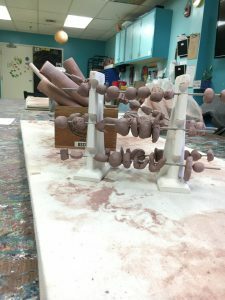 Playing with Clay in 2017! We’re starting off the new year with a generous gift from the Buckingham Foundation. 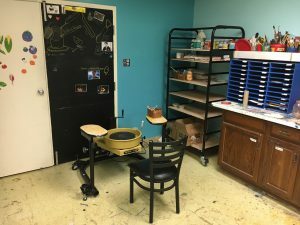 Studio OTB has been awarded a $5000 grant to expand our ceramics program in 2017 starting with an adaptive pottery wheel that will be accessible for all of our participants! Check out The Buckingham Foundation and the good they are doing in our community. A huge thank you to The Brickyard Ceramics & Crafts for their help as well.